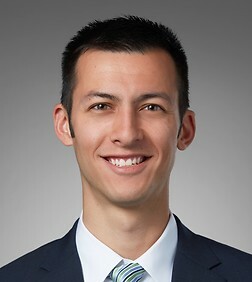 Jared LeBeau is an associate in the Business Trial Practice Group in the firm's San Diego office. Mr. LeBeau’s practice focuses on insurance litigation, in particular first-party and third-party insurance bad faith, coverage disputes, class actions, insurance fraud, and unfair business practices. Mr. LeBeau has represented insurance companies at all stages of litigation, including depositions, case-dispositive hearings, mediations, and trial. Mr. LeBeau also has advised clients on issues related to general claims handling and investigation, policy interpretation, as well as defense and indemnity obligations. Mr. LeBeau has successfully represented clients in a wide variety of insurance coverage and bad faith cases at all stages of litigation, including the pleading stage, dispositive motions, and trial. Won arbitration award of over $18 million in favor of insurer client against third party claims administrator in dispute over bad faith liability exposure for over $20 million underlying personal injury judgment. Won dismissal on the pleadings of an insured’s fourth attempt to sue insurer client for bad faith denial of property damage claim. Won summary judgment establishing non-coverage of a $3 million commercial general liability policy for an underlying $21 million construction defect judgment against the insured. First-chaired a trial victory for client seeking grant of asylum based on her persecution in her home country. Second-chaired a 4-week trial of an uninsured motorist bad faith claim. Successfully defended an insurer against a lawsuit alleging the bad faith denial of a $60 million warehouse fire claim made under a commercial general liability policy. Second-chaired a trial victory in an unlawful detainer matter.